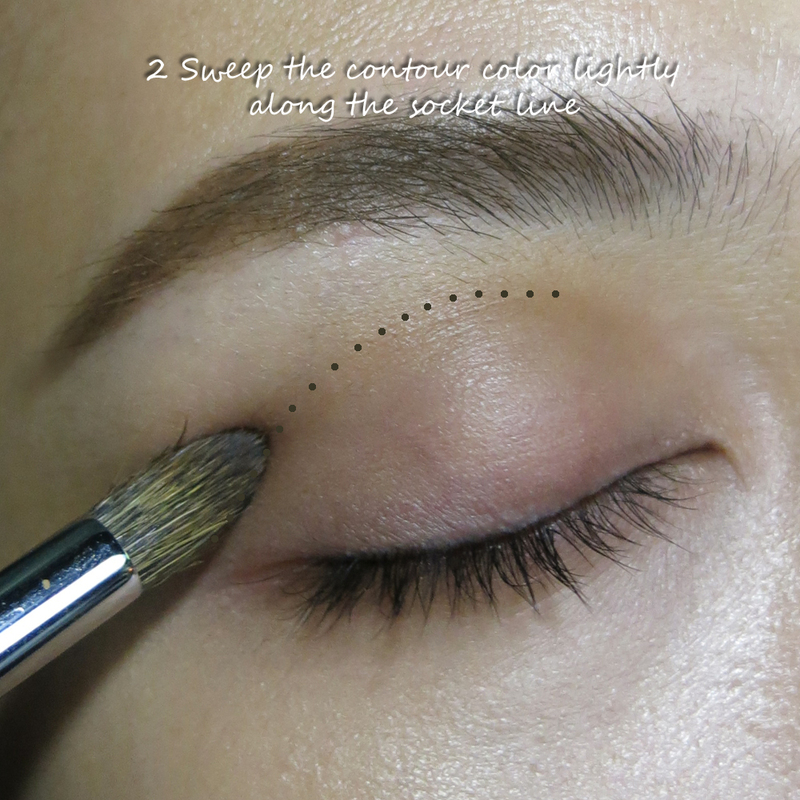 We keep talking about facial contouring, but here in Asia, something that often gets forgotten is eye contouring. 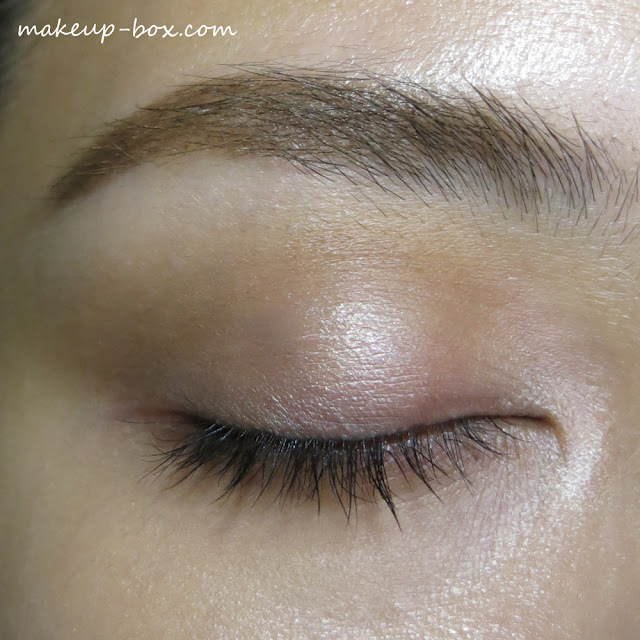 Ways to make your eyes look more deep set, or to lift and shape hooded eyes that might look a bit more puffy or flat. The basics are very simple. It's not rocket science. Most people just don't really think about it. 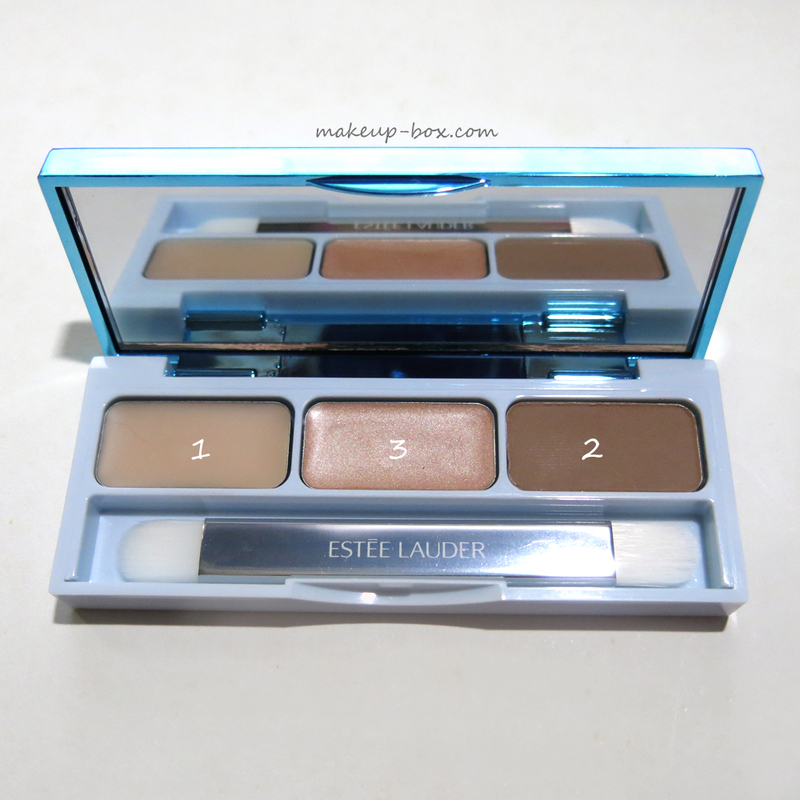 Those of us who wear eye shadows probably already do some of it on a daily basis, but whether you are using shadows, or want a "no makeup makeup" look, the general steps are the same. Estee Lauder launched their New Dimension range this month in Singapore, including a firming/shaping Expert Serum (SGD$220) to help tighten and lift your jaw line and your cheek contours, and a rather exciting "Liquid Tape" ($110), a gel which you apply around edges of your face or around areas with fine lines. You literally feel it tighten more and more as it dries, and it will smooth and even out your face temporarily. 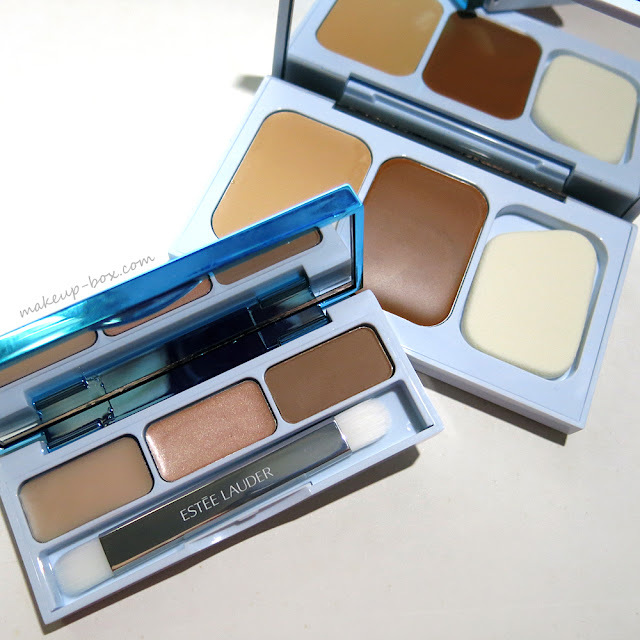 The line also includes a contouring cream duo, the Shape + Sculpt Face Kit ($68), but I'll talk about the Shape + Sculpt Eye Kit ( $60) today. I will break the 3 shades down by their purpose. I only number 2 and 3 in reverse because this is the order I personally apply them. You don't have to follow the same directions exactly. The instructions from Lauder are to apply the shimmer highlight to the inner cornrs, but I personally feel that doesn't suit everyone. 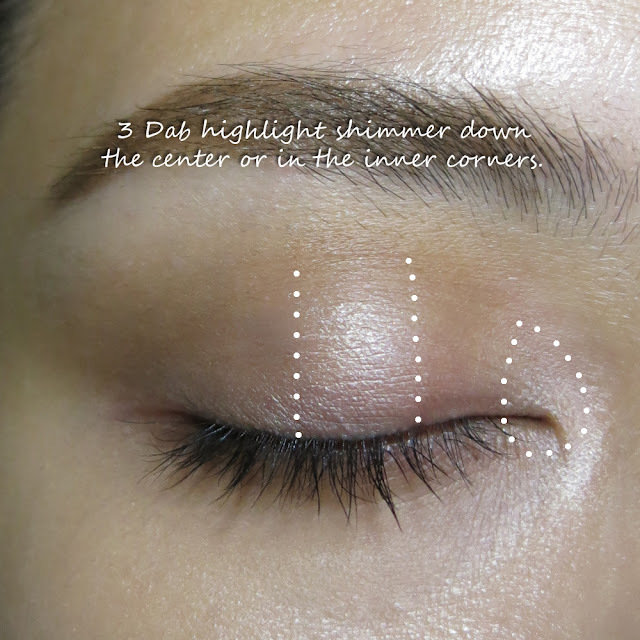 Especially for women who have a fold of skin over the inner corners of their eyes, applying highlight there does nothing, and popping it in the center actually helps create a more sculpted 3-D look for the eye in that case. The only thing you want to be careful about is this might not work if you have oily lids. If you tend to get creasing shadows through the day, leave the shimmer off the middle of the lid and use a pale shimmery champagne powder shadow instead. 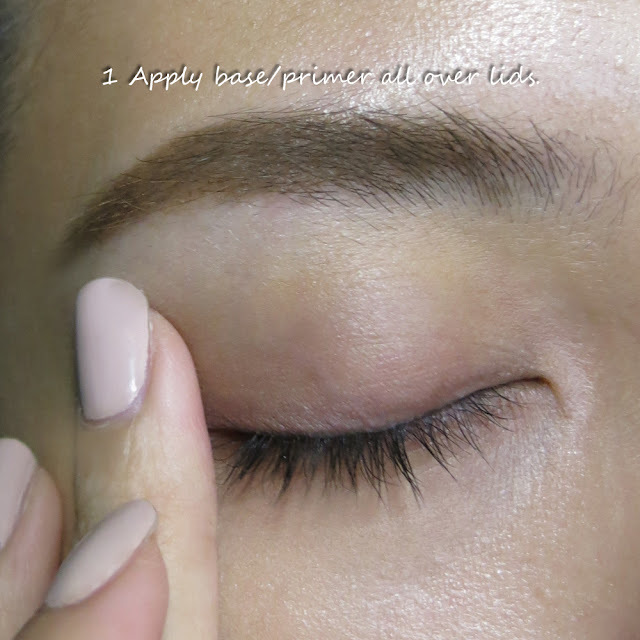 The key shade that makes the difference is the tan shade here, and it is matte and soft enough that unless you are very heavy-handed, it will look pretty much like you were born with those natural shadows. And it's not always easy to find. The only problem is if you have very tan or darker skin, because this shade will not be deep enough for you. I have semi-hooded eyes with very little eyelid space. Can I still use this technique, Candice? It would be nice if your photos showed a before & after, to illustrate how this highlighting helps. Your techniques are super helpful and your blog is awesome, I read every post! Thanks!